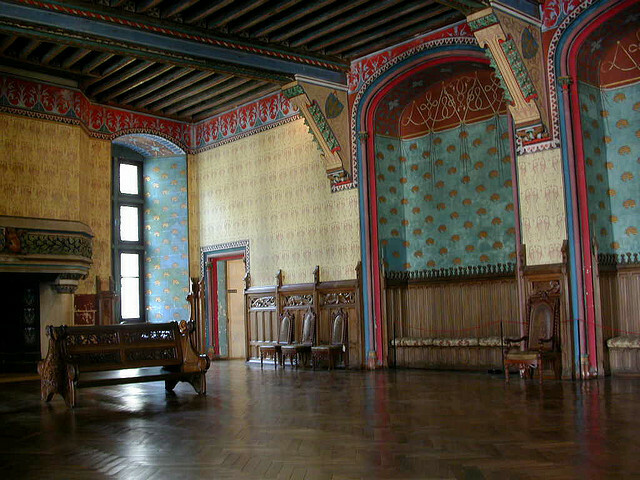 The chateau has a history of its own – and it certainly did not look much like it does today in medieval times (the period most imagine Arthur, round table at all to have existed even though at that point it was but another re-imagining by a gentleman called Mallory of a much older legend). 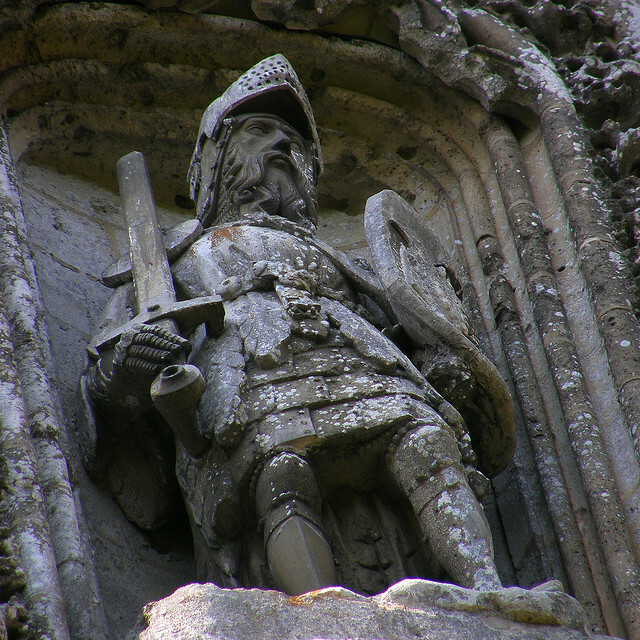 Thanks to builders playing fast and loose with their idea of medieval architecture the BBC are able to play faster and looser with the idea of Arthurian mythology. If that likes a criticism of both or either then it was unintentional. 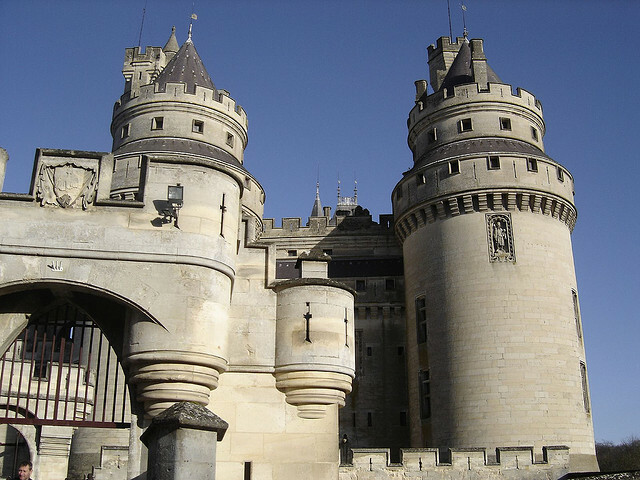 The chateau does retain many of the characteristics of architecture which was used primarily for defense from that period. 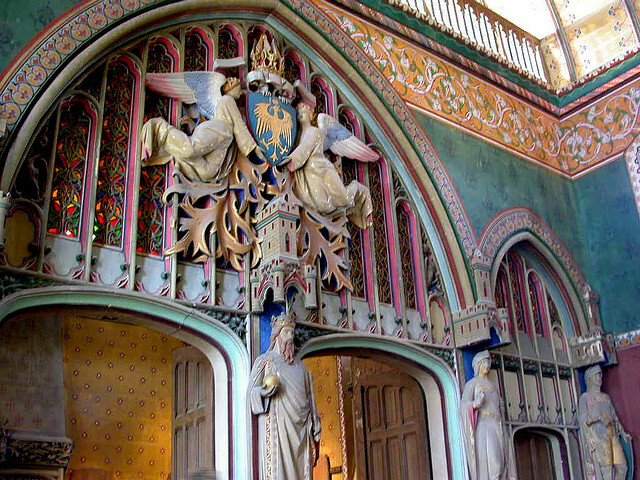 The more elaborate imaginings are the result of a restoration in the middle of the nineteenth century. 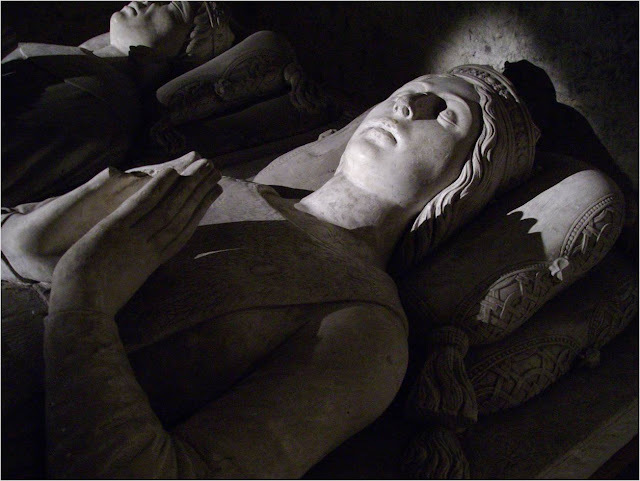 Similarly with the TV series Merlin – although it does retain elements of medieval Arthurian myths, most students of the legends cringe at the liberties taken with the stories. Then, hopefully, they sit down and enjoy the show for the sheer fantasy it is. Perhaps if it encourages young people to delve in to medieval literature it has done its job on more than one level. 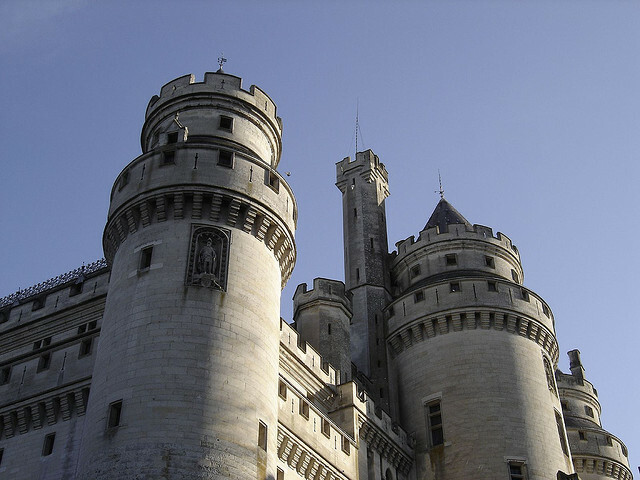 Similarly with Château de Pierrefonds. 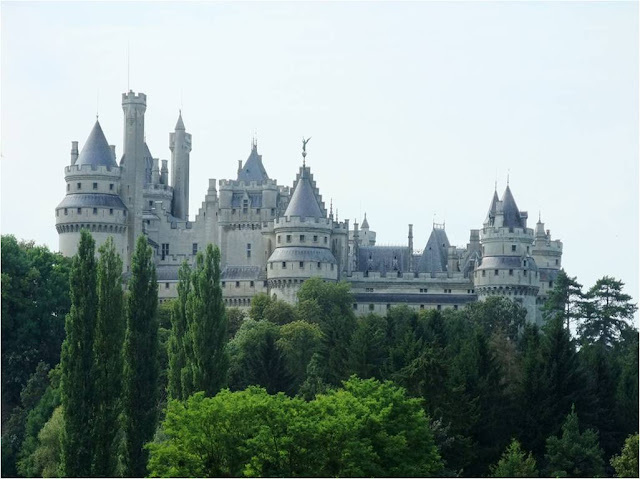 Since Merlin started shooting there three years ago it has seen a substantial rise in visitor numbers. 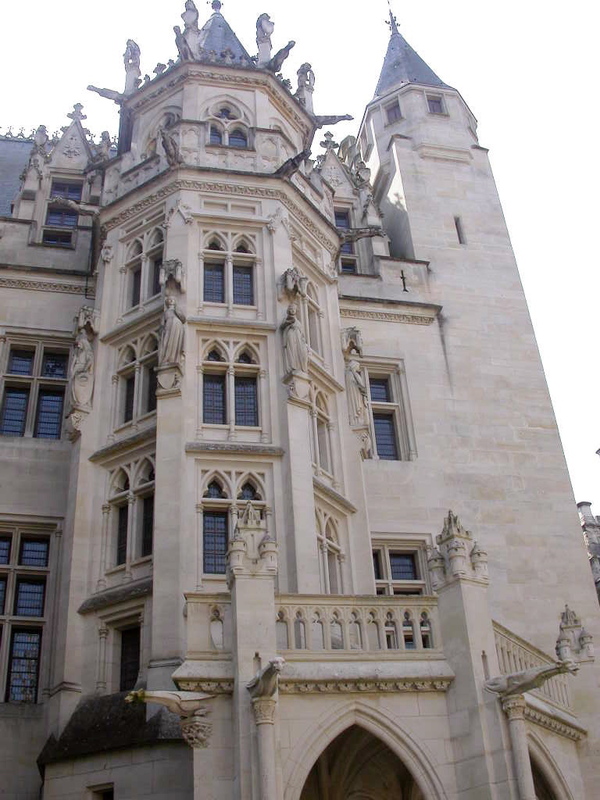 No doubt the tourist guides now shrug their shoulders in that inimitable French manner when confronted with Americans and Brits dashing around shouting things such as Merlin! We must stop [insert appropriate villain name] and pretending to be Merlin, Arthur, Gaius, Morgana, Guinevere or possibly even Uther. 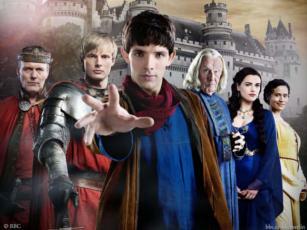 Be honest, if you are a fan of the show, haven't you been just saying to yourself, oh, that's where Merlin...? Could you resist the temptation if you were really there? Although there has been a castle on the site since the 11th century it was the 14th which saw the beginnings of what we see today. 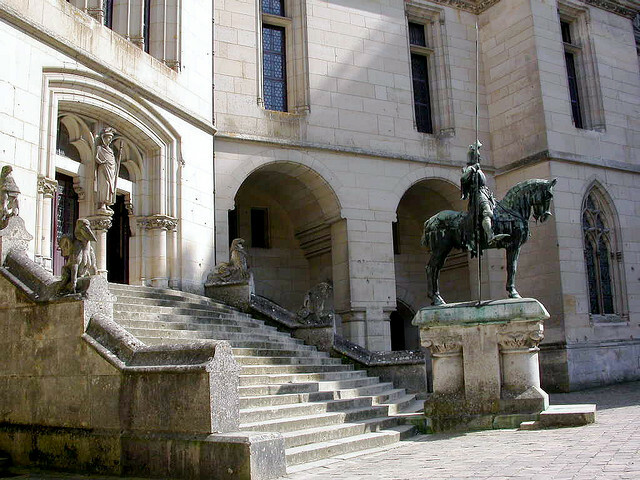 Charles VI, giving preferential treatment of his younger brother Louis, the Duke of Orléans, made the county of Valois in to a Duchy, a territory solely ruled by a Duke. 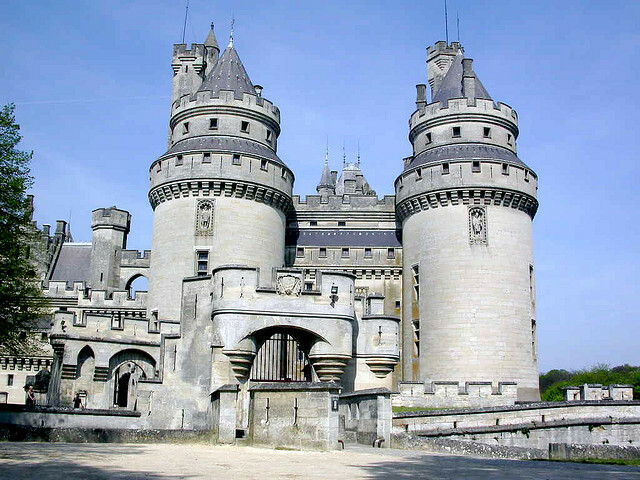 Some peope express astonishment that no castle in England could have been found to be Camelot. The question that begs an answer is which one? 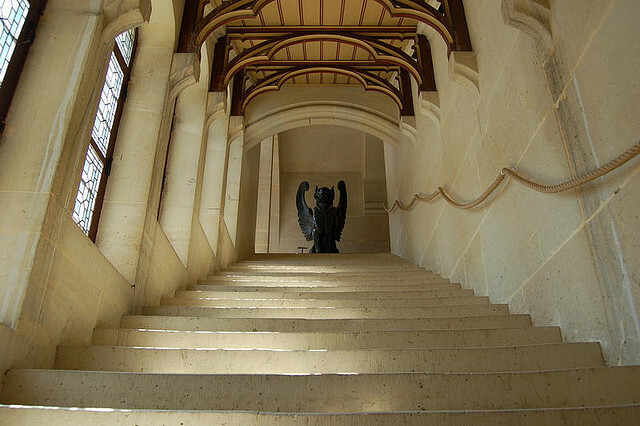 Isn't that Morgana peering from the window at the top with an evil glint in her eye? 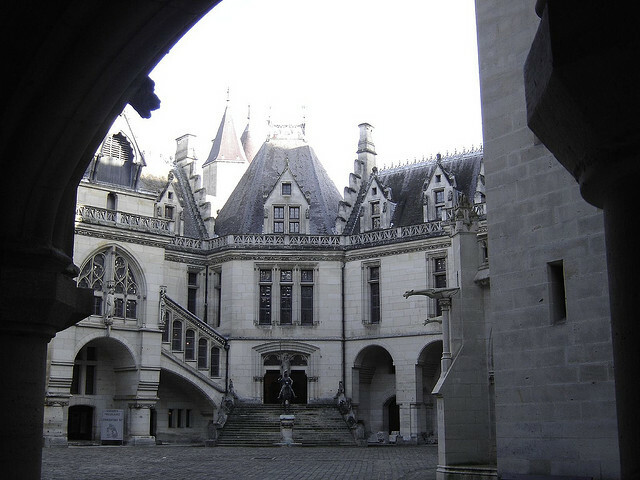 Pierrefonds was part of the Duchy of Valois and Louis spent little time in prevaricating when it came to consolidating his foothold there. The year after he ordered the castle to be rebuilt by no less that Jean Le Noir (John the Black), the court architect remembered more these days for his remarkable illuminations. 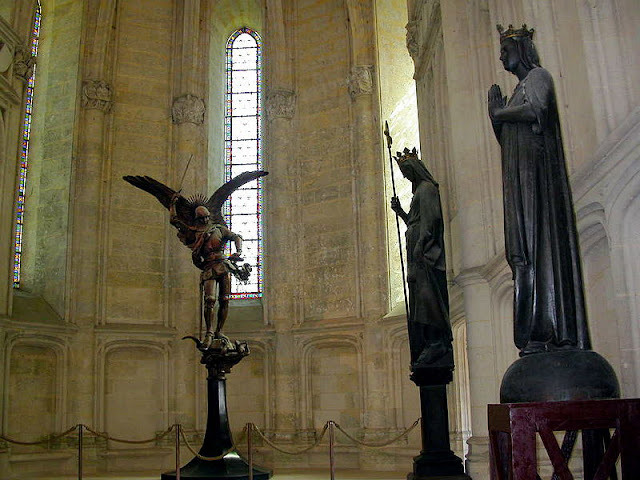 Le Noir’s work remained standing until 1617 when its then owners, the d'Estrées, fell out of favor with the monarch, Louis XIII. 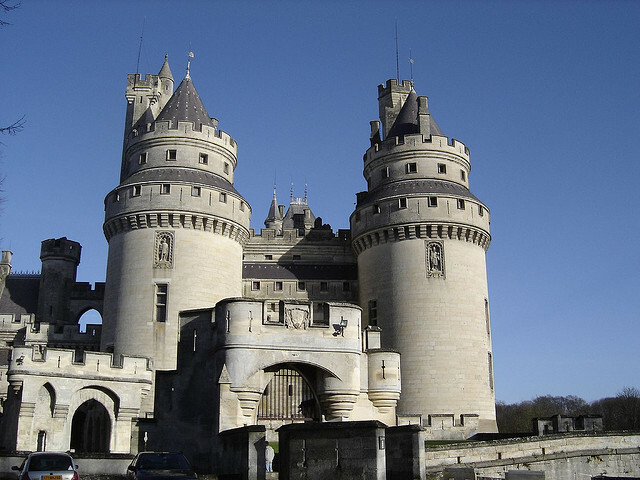 They had joined what was known as the Party of Malcontents and were determined to usurp the King’s rule so it was no surprise when Richelieu (who was the Secretary of State for War) sent troops to besiege the castle. When it was inevitably taken he also ordered its destruction. Yet Le Noir had done such a solid job that the job proved to be too enormous. 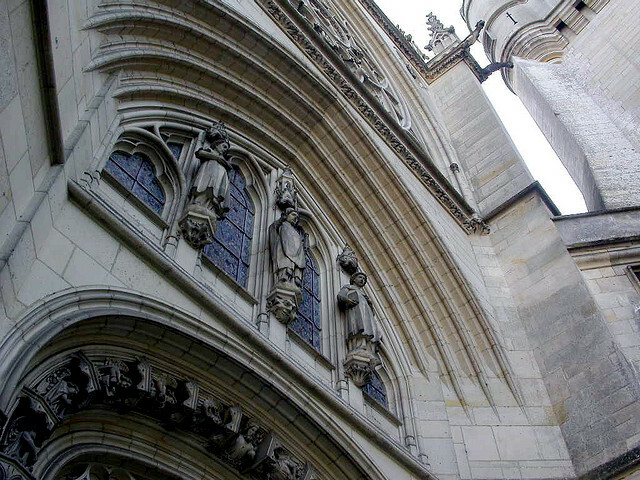 So, instead, the exterior works were destroyed as were the roofs. 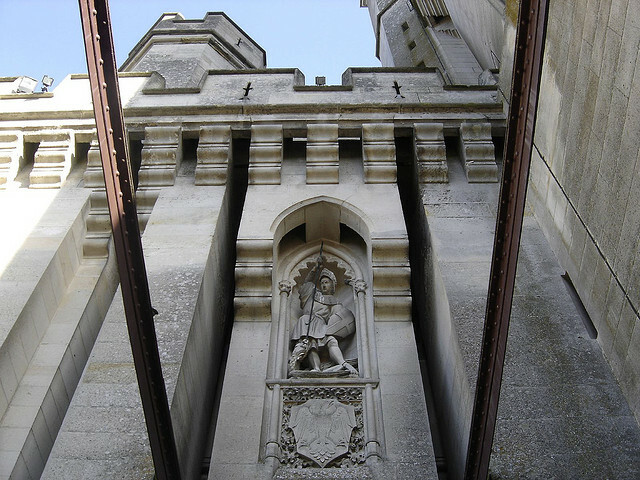 To ensure that no one could use the castle again to commit treason against the crown large holes were made in the curtain walls and the towers. It was, effectively, a ruin and slowly moldered for over two hundred years. 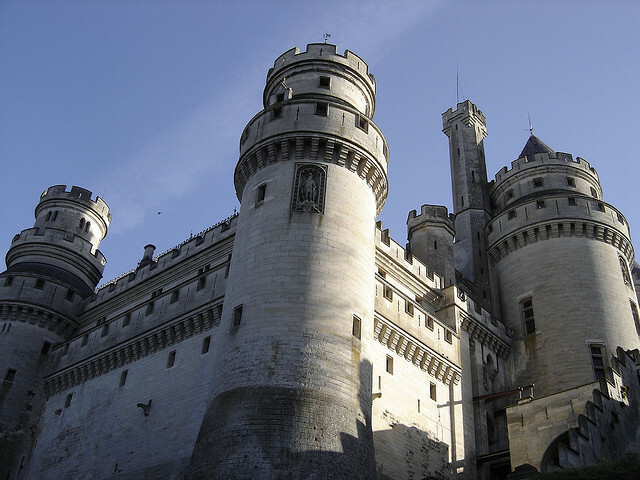 It was in such a state of disrepair that when it caught the eye of Napoleon I in 1810 and he made an overture to purchase it, the chateau became his for the tiny sum of 3,000 francs. The last King of France, Louis-Philippe gave a banquet at the romantic ruin in honor of the marriage of his daughter to one of the Saxe-Cobourg Gotha dynasty (one branch of which is now known as the House of Windsor in the UK). 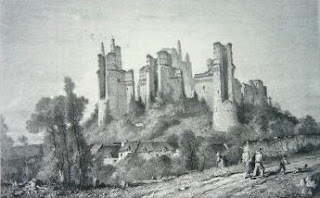 The castle was drawn by the artist Corot, who depicted it in a state of absolute ruination. 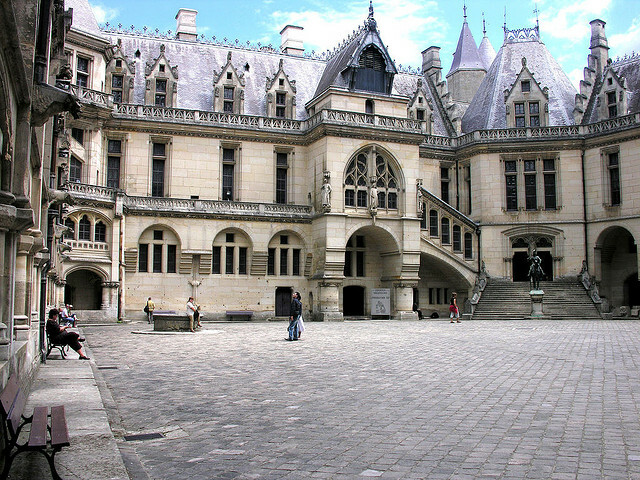 Napoleon III visited in 1850 and was greatly impressed by the romance of the place, to the extent of asking Viollet-le-Duc to restore the place to its former glory. 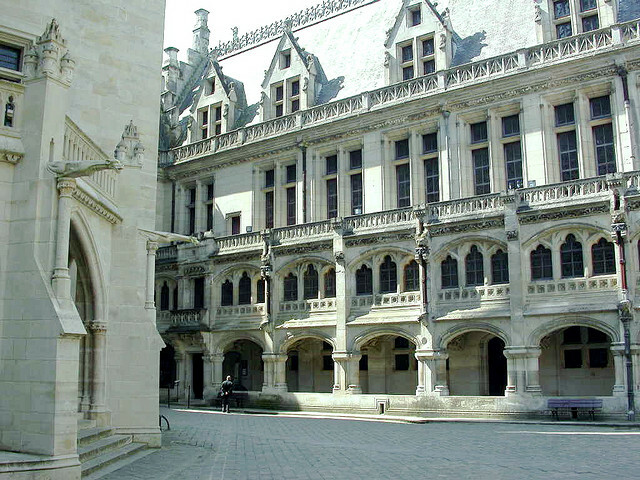 Le-Duc is now notorious for his restorations of medieval buildings. 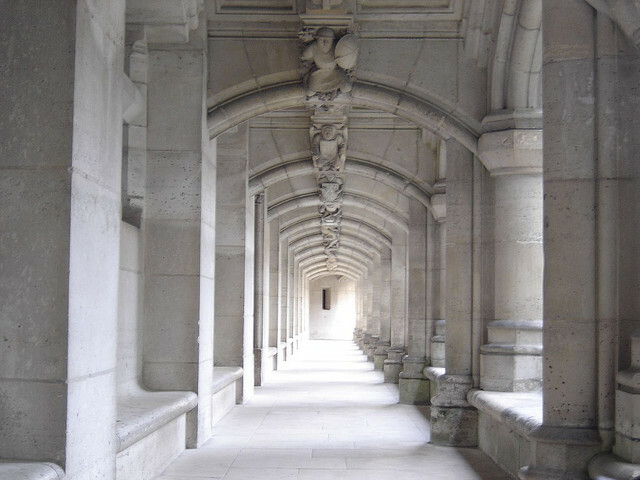 He frequently combined historical architectural fact with what you might call creative modification. 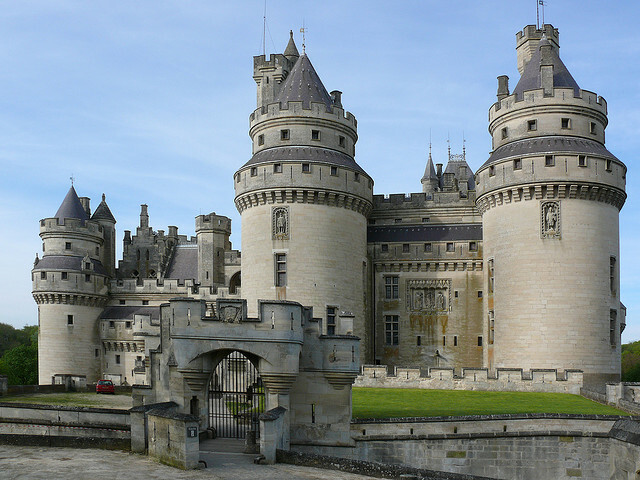 With a growing cost and a scale of rebuilding which outlived le-Duc, over 5 million francs (an almost unimaginable sum at the time) was spent on turning the medieval ruin in to a nineteenth century Imagineering of how the castle may have been. 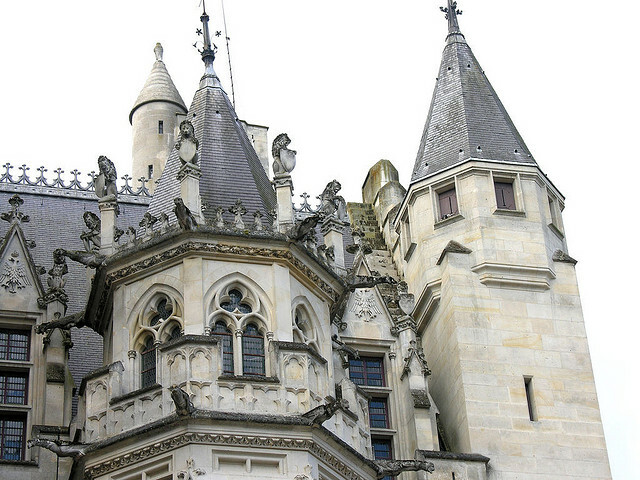 The romanticism of the time usurped strict historical architectural obeisance and the result was the chateau that we see today. 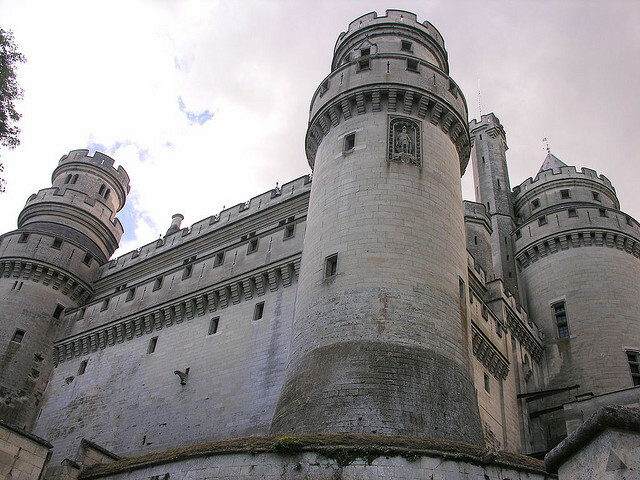 Yet despite the fact that it is a nineteenth century idea about how a medieval castle should look, most people agree that the location scouts for the BBC got it spot on when it comes to the ideal Camelot for Merlin. If you enjoyed this article, please consider making a gift to help Kuriositas to continue to bring you fascinating features, photographs and videos.